Put away the calculator – we'll ensure compliance in all 50 States. Sales taxes are unavoidable, but there are ways to make them less painful. Let GrowthForce make sure they are paid accurately and on time for your business. 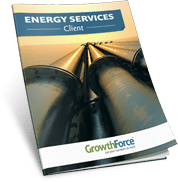 GrowthForce takes care of all your operating taxes: sales tax, payroll tax and any other industry specific taxes you have (occupancy, transportation, etc). Through our sales tax and payroll tax reporting services we calculate & pay sales and use taxes, prepare and distribute year-end payroll forms (W-2’s, 940, etc. ), prepare & distribute 1099’s and prepare year-end reports for CPA Tax Planning. Income Taxes, however, are an area that requires specific expertise from someone who works full time in income taxes. As a result we work hand in glove with your CPA to make sure they have accurate, up-to-date information needed to give you income tax planning advice. If you want a one-stop shop, we’ll be happy to involve one of the CPAs in our affiliate program. While we have CPAs with tax experience on our staff, GrowthForce is not a CPA firm and we don’t prepare “income taxes”. We specialize in processing your business transactions, and working with tax experts to make sure you get the advice you need in the most cost effective manner. You won't have to pay a CPA to clean up your books. They will get what they need the first time they ask.